April 11, 2014 May 8, 2017 by Matt, posted in History, Nonfiction, Popular Culture, Research Help! Recently I’ve been rewatching the HBO original program, Deadwood which you can order to the Library for free here. Doing so made me wonder how much of the show was true and how much was made up by the show’s creator, David Milch. 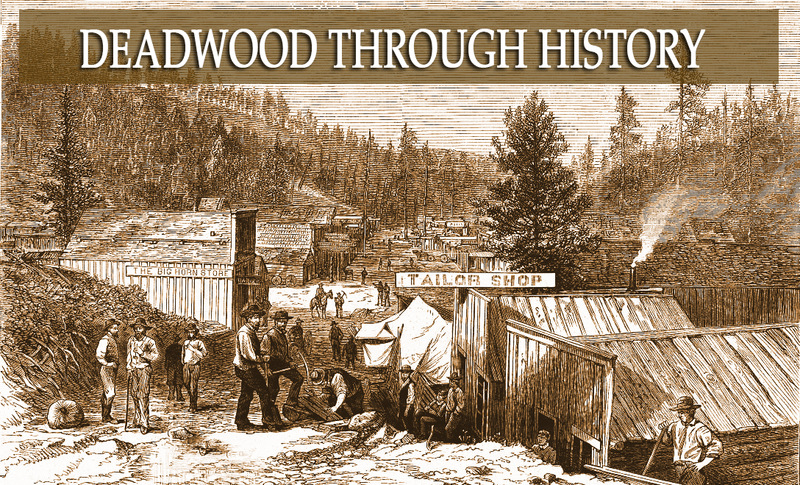 With this in mind I went to the Library’s resources with the research goal of uncovering Deadwood’s history. The first place I started was OneSearch. When I submitted the search I found out that the Library has a bunch of eBooks on the subject, two of which are talking about the TV show, the other, Old Deadwood Days by Estelline Bennett is a first-hand account of growing up in Deadwood, which was written by the daughter of a Judge who was friends with the lead protagonist of the show, Seth Bullock. While finding the eBooks was great, I did want to look at some actual print books in the Library, so I refined and added some new searches to the mix. The first thing I did was broaden my search to the “Black Hills“ which was the area that Deadwood was located in. Doing so allowed me to find The Lakotas and the Black Hills, a book on the struggle between the Sioux Native Americans and the settlers that claimed the land around Deadwood. Next I tried researching some of the historical personas that were represented to which I found an autobiography on Calamity Jane. And finally, I broaden my search even more by typing “wild west” into the search box. Next I looked through my results list for articles. In it I found two really good articles from magazines and one from an academic journal. With these articles in addition to my books I feel that I have a firm foundation to begin to read up on the topic of Deadwood. After I finish I may want to go back and try out searches on other databases such as Harper Weekly (a weekly magazine that has articles dating back to 1857). There I will be able to find actual articles on Deadwood that were being printed during the timeline covered by the show. I may also want to venture off and try out some websites like official website for the Adam’s Museum (museum located in Deadwood dedicated to the town’s history) or some videos on YouTube. This is an example of ways to perform research. When the time comes around to begin research on your own unique topic, stop by the Reference Desk in the Library and a Librarian will be happy to help you out. Previous postApril 8th – What is the BEST THING TO DO when the WEATHER GETS NICE?